Heating and air conditioning for a home can cost more than any other system, accounting for an average of 54% of utility expenses. As a result, it’s important for homeowners to practice good energy conservation when they can. If you’re a homeowner, this practice will not only help your wallet, but it can help prolong the life of your heating and air units, too. 1. Keep the thermostat at comfortable levels. It can be tempting to turn the heat all the way up in the dead of winter. However, it’s generally best to keep it in the 60 to 70-degree range instead. In order to cut costs, you can save up to 5% on your heating bill for every degree you lower the thermostat. And in the summer the reverse works just the same: don’t turn the AC down too low if you want to save money. Using a programmable thermostat can make this easier, and on average, homeowners can save $180 annually by installing one. 2. Maintain your furnace and central air conditioner. This is a joint effort between you and your local heating and air conditioning service, but it’s easier than it sounds. One thing you can do during the winter and summer is check your furnace filter each month; it should be changed a minimum of once every three months, but it may need more if you’re using it a lot. For anything beyond that, be sure to call your HVAC specialist to perform regular inspections and cleanings of your system. Proper cleanings can save you up to 5% on your utilities. 3. Get heating and air repairs when you need them. If you suspect that there’s a problem with your furnace or air conditioner, don’t put off getting it checked out. Having your heat go out in the coldest part of winter or having your AC stop working midsummer can be downright uncomfortable and inconvenient. 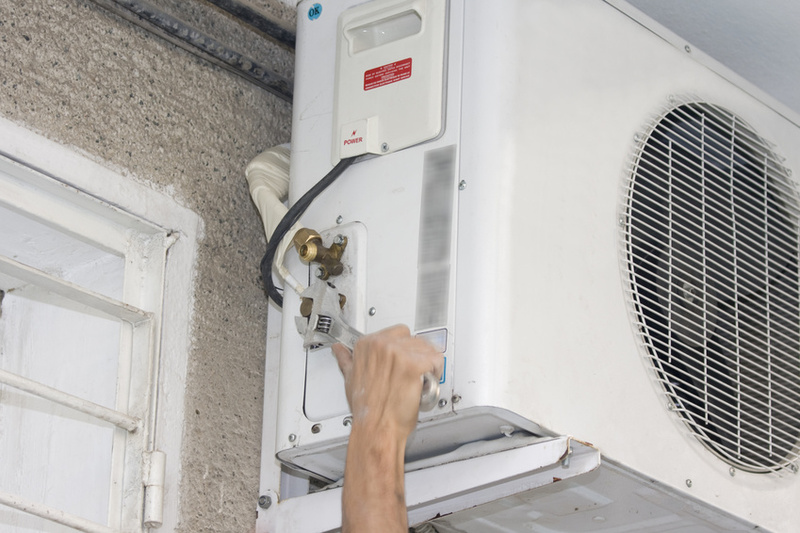 At the first sign of a problem, call a heating and air conditioning repair service. Want more information on properly maintaining your heating and cooling systems? Be sure to call your local contractors if you have questions or concerns. You can also leave a comment below for suggestions to save money on your heat and AC. Reference links.